This custom banner is sure to get them to come back! 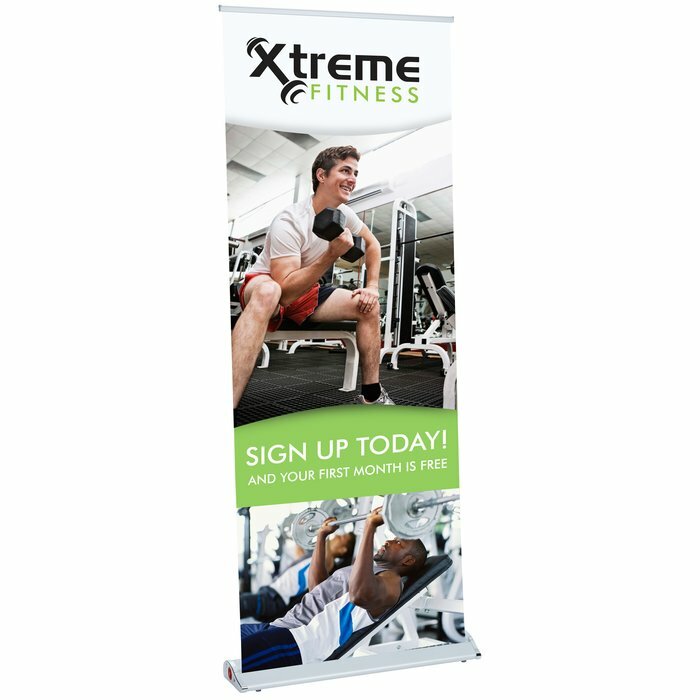 Easy to use, this retractable banner is a great way to get your brand’s logo out there at your next tradeshow, fair, festival or other event. Change out your graphics with ease with simple, three-step assembly. Features a tension spring release button and a tension knob for easy adjustments. The tradeshow banner is made of no-curl vinyl, which adds vibrancy and durability to your custom graphics. Size: 165 - 207cm x 89cm x 21cm (65-1/8 - 81-1/2" x 35-1/4" x 8-3/4"). 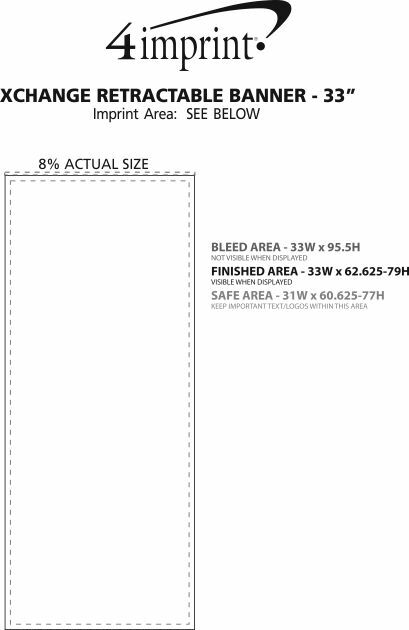 Your price includes a full colour imprint on the front of the banner.